I don't think there has been a bad Tiger Woods game and thankfully this also rings true on the iPhone/iPod Touch that boasts some exceptional gameplay and graphics. Of course by now, you know that this game is about golf and you can even create your own golfing avatar from appearance to gender and even clothes. This is not a cut down golfing game for your iPhone but rather a fully fledged game from start to finish with tons of replay value. In Tiger Woods PGA Tour, there are two modes of play that include Play Now for quick games or the PGA Tour which requires to to participate in the PGA. There's even some real-life players apart from Tiger included in the title which is kind of cool. Another highlight of the game is that you can tweak your matches in order to fine tune your preferred gaming. 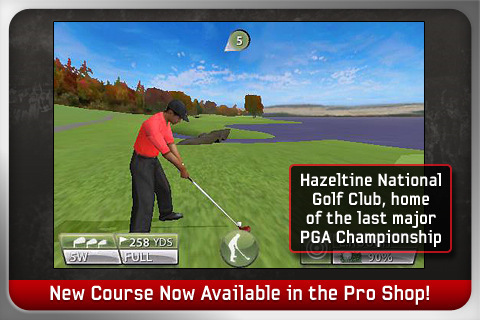 By playing the PGA gaming mode, this allows you to unlock new equipment thanks to the money you earn playing. Needless to say, the more money you make, the more items you can purchase which definitely fine tunes your golfing game. It's a good incentive as well. 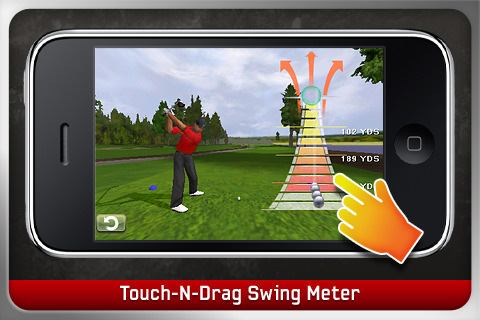 But the most important thing of Tiger Woods PGA Tour are the controls. Thankfully they are almost perfect and all you need to do is select your club and then use the meter for the swing and power of your hit. 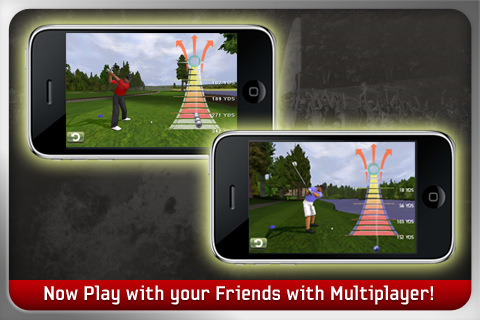 It works quite well and dare I say, this is probably the best golfing game on the iPhone/iPod Touch. Graphically, the title looks visually stunning on this device which realistic environments, golfers that is matched by real-world physics. This is not your cheap golfing app but rather a true work of art. The game even has live commentary and all those classic golfing sounds that makes this one of the best sport games on the iPhone/iPod Touch. 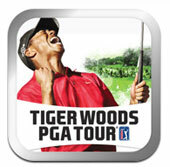 In the end, Tiger Woods PGA Tour is a must have game if you enjoy golf. With flawless controls, amazing graphics and some fun commentary, the future for iTunes games is really looking good with this title! What are you waiting for? Go visit the app store now!